Thank you to more than a dozen patients who have donated blood in support of the EMINA research project. 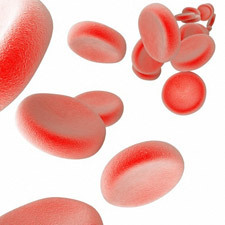 Researchers on the project, which is being led by Dr. Claudia Roos conducted at the Medical University of Vienna, are using the donated blood to help test a novel hypothesis about VPS13A, the missing protein in ChAc patients. Dr. Roos's team was grateful to receive the donated samples but additional donations are needed in order to support the research. We hope you will help us support this important work which may ultimately deliver benefits to everyone in the NA community. If you can help, please be assured that all your shipping costs will be reimbursed by the Vienna team. Ask your doctor to draw 2-5 ml of venous blood in an EDTA tube from both a NA patient and from a control (this can be a non-related or a related person who is not affected by NA) at the same time. It's important to send these under the same conditions (blood tubes wrapped in paper towels in a Styrofoam box with cool pads should be fine. The probes should be cooled but not frozen). Please label each sample appropriately. The full address for Dr. Roos and her team is below. Your doctor may have questions or concerns about sending blood to another institution for research; in some instances however your doctor will be happy to release the blood to you personally, and the Vienna team can coordinate directly with you for shipping.